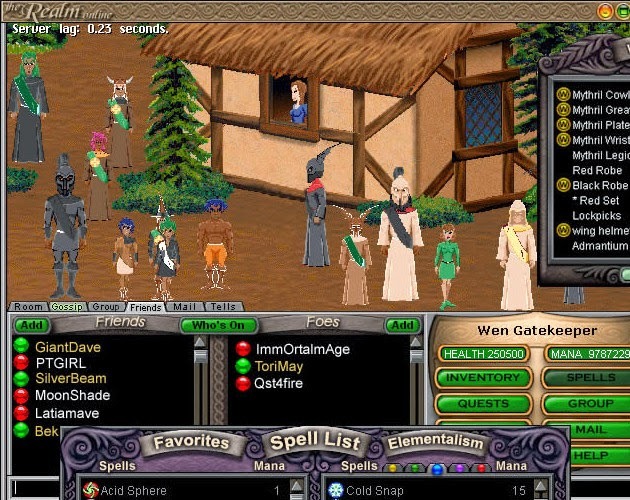 The Realm was launched in December 1996 for Windows PC It was designed in the tradition of graphical MUDs, before the popular usage of the terms "massively multiplayer" and "MMORPG"
Here is a short video introduction to this game, and some history on it. Since this time, I've played many other MMOs. But for some reason I always think back to this game because it is where I started.